As a college student, one is required to get their hands on work culture so as to experience the textual knowledge in person. As of this date, I’ve done six internships and I’m still waiting for my bachelor’s degree (I hope the university results are announced real soon). I would love to share top five, according to me, frequently asked internship interview questions. Robert John Downey Jr. is an American actor, producer, and singer, whose career has included critical and popular success in his youth, followed by a period of substance abuse and legal troubles, and a resurgence of commercial success in middle age. 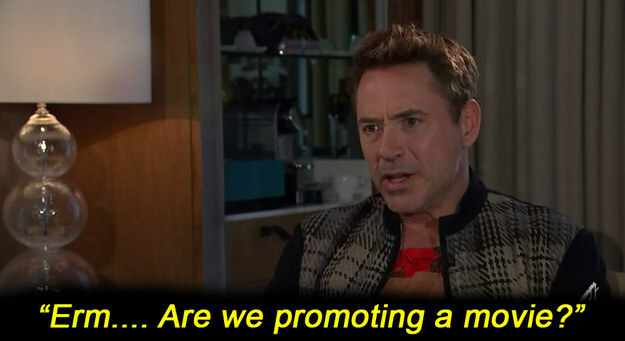 Avengers star Robert Downey Jr has walked out of an interview with Channel 4′s Krishnan Guru-Murthy after being quizzed about his family and previous problems with drugs and alcohol. Asked about a New York Times interview where he said you could not go to jail and “come out a liberal”, he told Channel 4: “I could pick that apart for two hours and be no closer to the truth than giving you some half-arsed answer right now. The actor, who spent time in prison and had a very public drug problem, was also asked about his relationship with his father and said:”I’m sorry, I really don’t … what are we doing?” He then walked out.